Biology exam will be held on 27 March and given here are preparation tips from expert, that will help students fetch good marks; especially those who have a dream of pursuing medicines in future. New Delhi: CBSE Board exams will begin on 5 March 2018. Biology exam will be held on 27 March and given here are preparation tips from expert, that will help students fetch good marks; especially those who have a dream of pursuing medicines in future. Last year, the CBSE class 12 biology exam had a 'good mix of direct questions.' 'Students who had followed the instructions and had studied, every line in the NCERT text book, would have found the paper is easy. Many questions are brain ticklers ensuring that students give a thought and understand before answering,' according to a senior teacher. 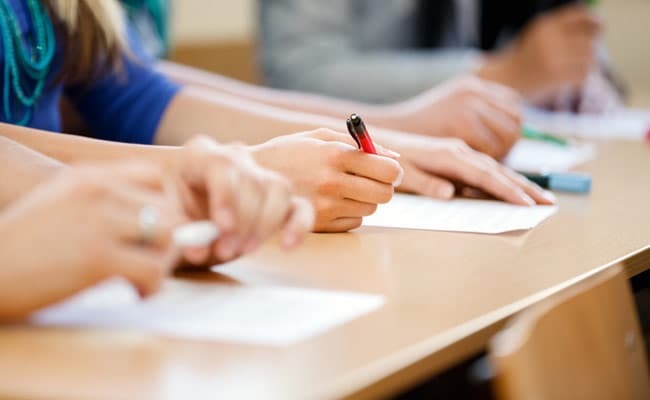 We have discussed with Rupali Saini, a Biology teacher about the mark scoring areas in the subject and she suggested a proper revision time table for class 12 students. 'Read NCERT book properly do not refer any new book in the last moment. Go through previous year question papers (5 to 10 years) solve them and track some important topics being asked many times in the papers,' she says. About diagrams, which were a total miss in last year's question paper, Ms Saini emphasizes on drawing neat diagrams. A question might have a huge theoretical answer but this can be reduced to a simple explanatory answer by drawing the necessary diagrams (case in point - DNA structure, Molecular biology, reproductive system etc.). Giving details on the most difficult areas, she advises students to revise Genetics and Biotechnology thoroughly, as they are a little bit difficult for students. Chapters like Reproduction, Ecology and Human Welfare carry 14 marks each, therefore should not miss a even a minor detail; moreover these chapters carry tricky questions. Students should be extra careful with one word answers: the questions are usually tough and a single word can either fetch you the full mark or you can lose one mark; there's no in between. The CBSE Board exams will begin from 5 March 2018, after Holi festival. While class 10 board exams will continue till 4 April, for class 12 students the exam will continue till 12 April 2018.